Here’s our summer show, we couldn’t be awayfrom our lovely audience for too long. And it will be a great one again with two returning comedians that are among your favorites, Tom Deacon and Edo Berger. 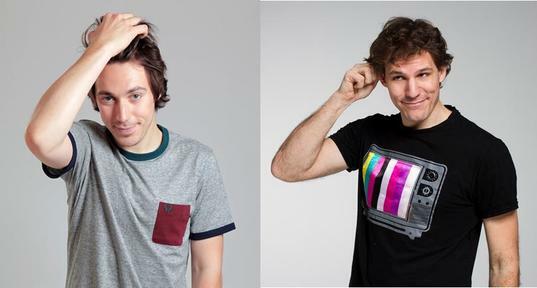 ##Tom Deacon Tom is one of the hottest young comedians and presenters on the circuit. He has been performing live stand-up for the last eight years – with three Edinburgh solo shows under his belt – and has been the host of his own TV, radio and online shows on BBC2, BBC Radio1 and YouTube football channel Copa90 – where his Eurofan escapades have notched up over 1 million views. Edo BergerEdo Berger hails from Amsterdam. Edo eats everything and loves children. His favourite primary colours are red, yellow and blue.Edo Berger won several Dutch comedy festivals before expanding to performing in English. He also does a weekly musical radio column and made a documentary about the comedian’s love for anecdotes about horrible comedy gigs, called Dictator of Comedy. HIs first show in Brussels was such a performance that many of you requested that we book him again. He’s now paying us a visit for the third time, so if you missed him before you know what you need to do!